My name is Kelsey and I am the lucky owner of The Whitest Pups You Know. I first saw Lita when a friend posted that she just picked this cute little puppy to foster at a local shelter who was less than 24 hours of being euthanized. 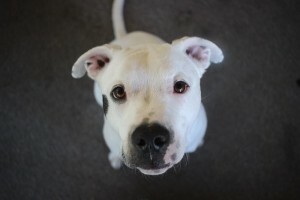 I had a thing for white pitties so I automatically fell in love when I first saw her photo. I didn’t think I would be able to adopt Lita as we had a senior yorkie who was blind & diabetic. He wasn’t too crazy about other dogs, and just being around them stressed him out to the point it would raise his blood sugar and he’d get deathly ill.
My friend brought over Lita and surprisingly my yorkie didn’t even care! He even laid down right next to her which had never happened before. I have social anxiety and one of my biggest fears was getting a license even though I was 23 years old. Desperate for me to get a license, my mom made a deal with me. If I got my license, I could adopt little Lita. The next words out of my mom’s mouth were “If I correct her, will she bite me?”. 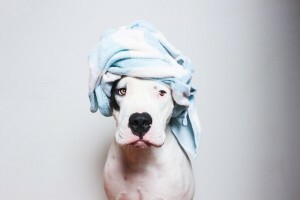 She had seen all of what the media says about Pit Bulls so she was a little weary, once she interacted with Lita for herself her fears went out the window. Sure enough, I got my license and Lita became my best friend. Sadly a week after we got Lita, my yorkie had passed after he got another kidney stone and couldn’t survive another surgery due to his diabetes. A few months later, my Dad decided he wants to get a male of his own that kinda looked like Lita. After searching PetFinder for weeks, he finally sent me “the dog”. We contacted the shelter which was in Ohio (we’re in Indiana). We submitted our application and was approved that night. The next day we made the 4 hour road trip with Lita to go pick up her new brother. As soon as he came out of the room where the kennels were, we were in awe. He was so little and could only have been about 2-3 months old even though the shelter had him listed as 6 months. It was love at first sight with Lita & Stache. As soon as they saw each other they were jumping all over and rolling on the ground together…it was perfect. 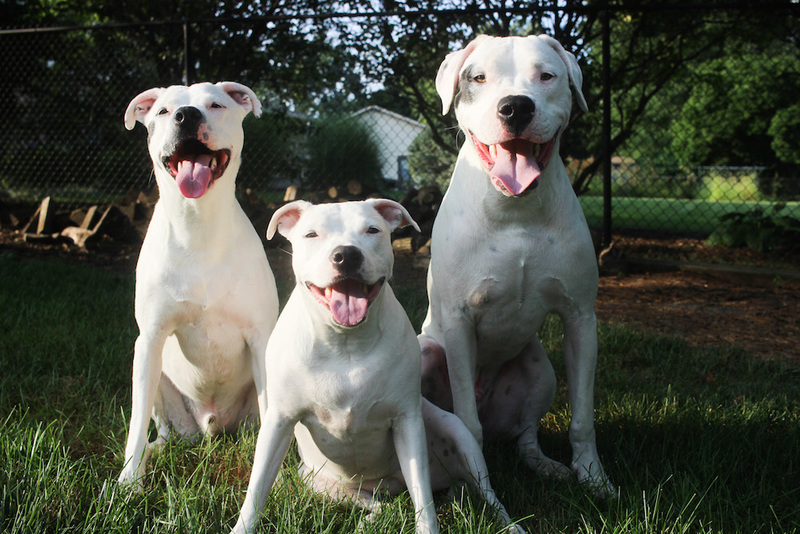 When we first got Stache, we thought he might have some Dogo Argentino in him. We ended up being completely wrong, but my Dad started researching the breed and completely fell in love with Dogos. He asked me to start looking around for him to see if there was any Dogo Argentinos in rescues or shelters that would fit well with our pack. After looking for months with no luck (either not dog/cat friendly, or could be adopted out of state) a friend told me to check out Craigslist. I am so glad I did because we happened to find 5 month old Jax in Illinois being re-homed. We picked him up 2 days after seeing his ad. When all three of them first met it was so adorable. Jax was nervous with his tail tucked and Lita & Stache we’re just so excited to have a new friend. After we let them out into the yard together, Jax became more relaxed and started playing. We knew then it was going to work out and it has perfectly. They all love each other and make me laugh daily. 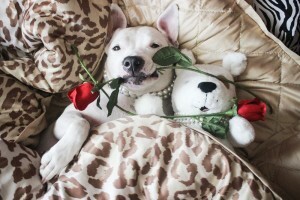 My white babes are Lovabull because they love unconditionally. No matter what race, who you love, your body shape…they don’t care. All they care about is food hahaha and of course love. 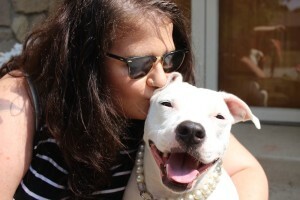 I’m extremely passionate about being a Lovabull owner because these dogs are so misunderstood. Thousands of bully breed dogs are euthanized in shelters across the country because of fear, and overpopulation. I hope through taking silly and derpy photos of my bully breeds, people will see that and want to adopt one of their own. 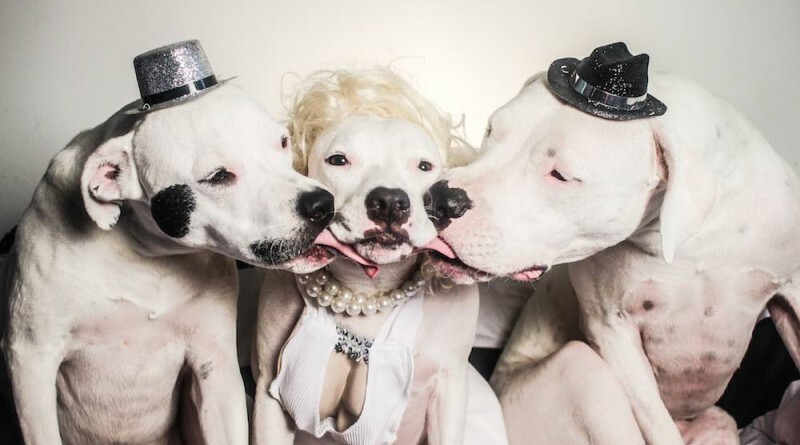 All dogs need a chance, don’t be afraid to adopt just because of their looks or the stereotypes that follow them. My biggest frustration is people automatically assuming they know my dogs because of what their head shape looks like. All dogs are individuals, regardless of their breed. If I could do anything for these dogs and money wasn’t an option…I would get a bigger property to take in fosters and also use it as a sanctuary for the dogs who are having a hard time finding their forever homes. Find us on Facebook and Instagram for daily photos and stories from us. We love new friends! P.S. 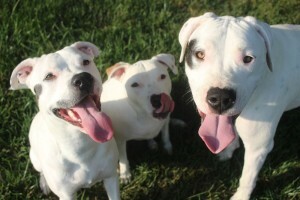 If you liked getting to know Lita, Stache and Jax, don’t forget to share their story with the world!